There are no refunds; however, your payment will be put towards a future reservation which must be used within 6 months. If guests are unable to provide a minimum of 7 days’ notice, there is no carry forward of payments. Room rates are for single/double occupancy. There is a $20 surcharge if more that 2 people are in a suite. Inquire about our senior rates (Sept 15 – June 15 only) and group/retreat rates. Pets stay for free. It is the owner's responsibility to pick up after their pets. No Vegan meal plans, however, there are some gluten-free and vegetarian choices available. No Smoking inside the lodge. Failure to adhere to this strict policy is a $250 charge to your credit card. 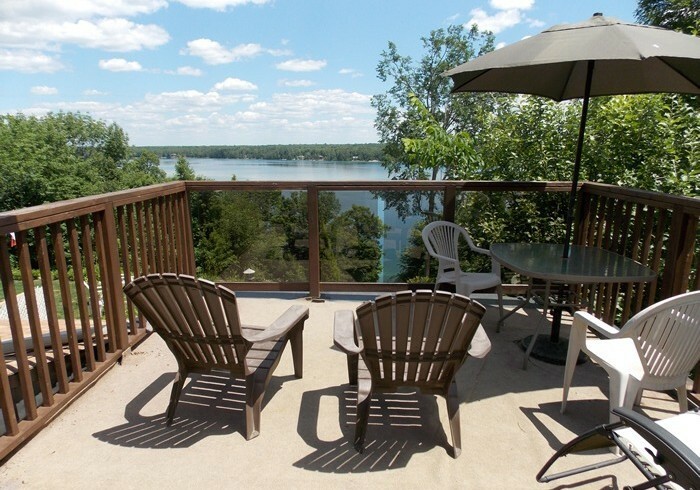 For over twenty five years Woodhaven Country Lodge has been the getaway destination for couples who just want to relax, family and friends that want to reunite, and anyone looking to escape the city for a little peace and quiet. With seven suites including a private guest house and seasonal cottage, Woodhaven Country Lodge can accommodate reservations large and small. Relax in nature while enjoying the comforts of home with amenities like free WiFi, a library, a swim spa, and delicious meals. From the comfort of our suites, guests can meander down the hillside path to the lake where you can relax on the dock or beach, swim or canoe in the summer, cross-country ski or skate in the winter.